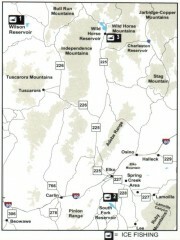 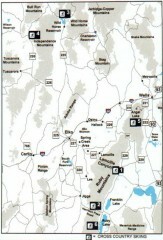 Included are the communities of Elko, Wells, Deeth, Jiggs, Lee, Lamoille and Spring Creek. 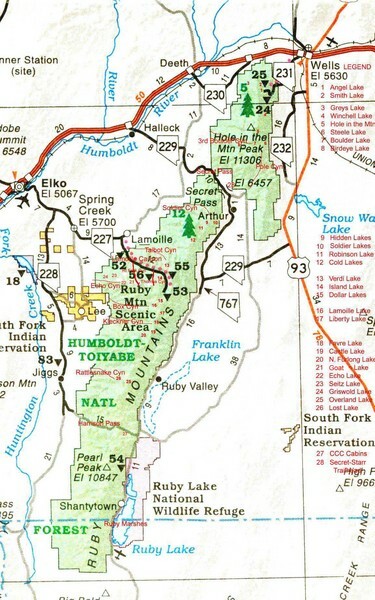 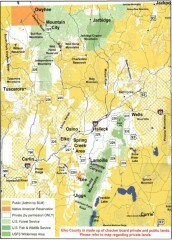 Some geographic features shown are Ruby Valley, Secret Pass, Harrison Pass, the Ruby Marshes (Ruby Lake National Wildlife Refuge), and Lamoille Canyon. 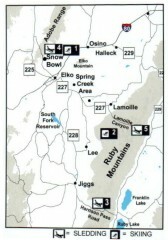 Relative positions are shown for all named lakes in the Ruby Mountains and East Humboldts as well as some other major canyons.